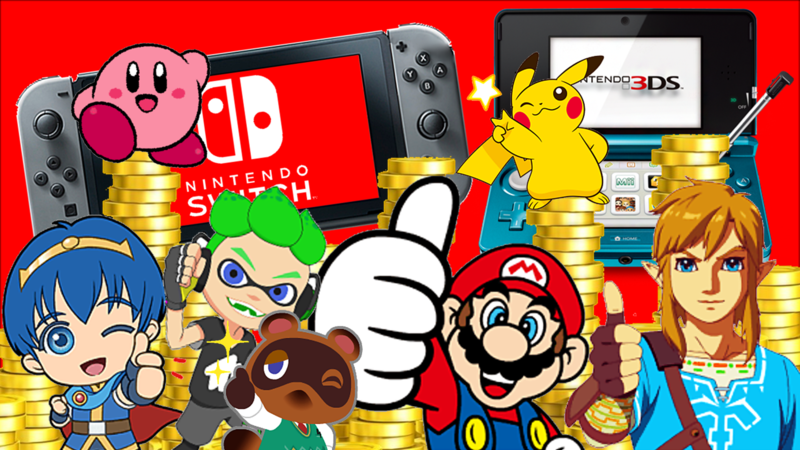 Nintendo’s Third Quarter Financial Results are in and their latest console, the Nintendo Switch has just outsold the Wii U by 1.3 million units. The Switch is now sitting pretty with 14.86 Million sold in only 9 months as of December 31st 2017, easily beating the Wii U’s poor 13.56 Million in its whole lifetime. I must point out that in some countries like Spain for example, their “Christmas Day” or rather when they gift presents, is on January 6th known as “Three Kings Day.” There is every chance that the Switch may of even sold 15 Million units already but we wont know for certain until the end of Nintendo’s Fiscal Year on March 31st. Below is a screenshot from the Nintendo Japan Website displaying the updated number of Hardware Sales on the Switch, 3DS & Wii U. Whether or not the Switch will be able to sell 20 Million units in the next 3 months as desired by Nintendo President Tatsumi Kimishima will remain to be seen. It is not impossible but now with the Christmas season well and truly behind us and no real “console sellers” in regards of games for the Switch before that time, I think most people that will buy a Switch now are those waiting for it to go on sale as most people that wanted a Switch beforehand would have one already.